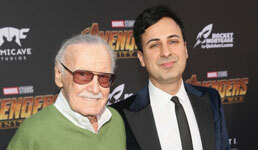 The type of controversy surrounding the holdings of Marvel Comics legend Stan Lee is likely to become more prevalent as people live longer and become cognitively impaired, InvestmentNews writes. Last week a Los Angeles court issued a temporary restraining order against Keya Morgan, a man who claims to be a caregiver for Lee, the co-creator of numerous comics including Spider-Man and X-Men, according to the New York Times. The court documents allege Lee — whose fortune is worth over $50 million but who at the age of 95 suffers from impairments in hearing, vision and memory — wasn’t able to “resist undue influence” from Morgan, the paper writes. The restraining order came two days after Los Angeles police had announced Morgan’s arrest, although he has since been released on bond, according to the court documents cited by the Times. Earlier in the year reports emerged that Lee was being taken advantage of by business associates, the paper writes. And as people live well into their 90s and 100s — and in many cases partially lose their faculties — cases such as Lee’s are likely to happen more often, Charlie Douglas, an estate planner based in Atlanta, Ga., tells InvestmentNews. But advisors can help clients prevent such outcomes, according to the publication. For starters, Martin Shenkman, the founder of an eponymous law firm, suggests consolidating accounts into no more than two, to simplify keeping track of them, InvestmentNews writes. Beth Shapiro Kaufman, president of the law firm Caplin & Drysdale, suggests putting clients into revocable trusts, which she says offer better protection against elder abuse, according to the publication. Shenkman suggests setting up such trusts when clients are 60 and older, InvestmentNews writes. Advisors can also help their clients pick their trustees better, according to the publication. Lee’s 67-year-old daughter, for example, racks up to $40,000 a month on credit cards and has demanded changes to her trust, according to a Hollywood Reporter exposé cited by InvestmentNews. Shenkman suggests using independent trustees or a group of co-trustees, according to the publication. To read the New York Times article cited in this story, click here. Is it the right time for commodities? Three charts say yes.